SANHITA DEVI ALIAS MAMONI BRUTALLY MURDERED. The tragic death of Sanhita devi was on 16th April 2008. Herein a few clips/news for the poor Akhandas. Kolkata, April 16 The holy precinct of the Swami Swarupananda Ashram in Kankurgachi got bloodied late this evening when one of the disciples, in a fit of rage, butchered two sanyasins and a sanyasi. The assassin himself was found dead in a pool of blood but it was hard to tell whether he killed himself or was lynched. After the death of Swami Swarupanandaji, the reins of the ashram was taken over by a sanyasin, Mongalmoyee Bandyopadhyay alias Sanhita Devi alias ,Mamoni. A kirtan session was in progress this evening, when a devotee, Kalipada Das, walked in. An ashramite himself, Kalipada Das used to travel frequently to the other centres of the ashram — in Jammu and Kashmir, Haridwar, Assam, Silchar and Beraras. He had returned from one such trip on Poila Baisakh. But entering the Sanhita Devi’s room, he pulled out a bhojali from beneath his robes and brought it down on her neck and stomach. As she collapsed, her screams brought others running. Ananda Kamal Brahmachari, a sanyasi and secretary to Guruma, was the first to reach. Das turned on him, slashing him on the stomach. He fell in a pool of blood. Duli Dutta was the next one to come. As she collapsed, hit on the stomach and back, Das pounced on her, stabbing her several times. Guruma and Duli Dutta were taken to Apollo Gleneagles hospital but both were declared dead on arrival. The body of Das was lying in the ashram complex till late for the forensic experts to examine. The Commissioner of Kolkata Police, Gautam Chakravarty, said the incident is still fresh and the police are yet to find a motive for the murders. The Kolkata Police registered a case as 3 murdered and one wounded at Kankurgachi Ashram. The investigation, he said, is on. Irreverent, indisciplined, headstrong. And with a streak of insanity. This is how members of Gurudham on Thursday described Kalipada Das, the 50-year-old former monk who, in a fit of rage, killed Samhita Roy, the head of the institution, along with her aide, on Wednesday night. 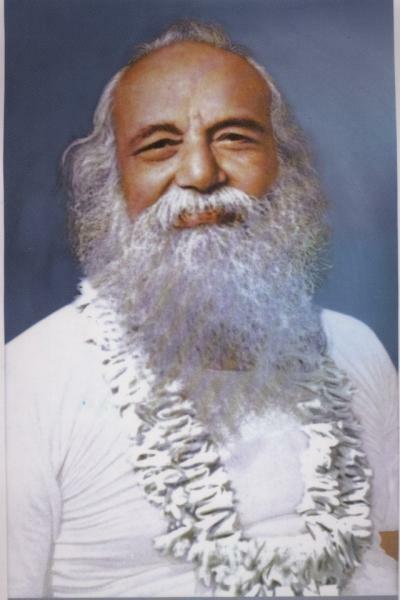 Initiated into the sect, the Akhanda Mandali, in the early eighties by its founder Swami Swarupananda Paramahansa Deva, Das spent a turbulent seven years in the Kankurgachhi temple, before being forced to leave. Das’s indiscipline surfaced after Swami Swarupananda died and Samhita, known to the disciples as Mamoni, took over. Once out of Gurudham, Das decided to test his fortunes in far-off Jammu. Members of the Akhanda Mandali said he joined an ashram there. They said Das’s temper and indiscipline flared again in the Jammu ashram and some allege that he was even sent to jail for having attacked the head of the Jammu ashram. “We have reports that he spent three years in jail for assaulting the head of the Jammu ashram,” Kar said. The police, however, are yet to check on this. 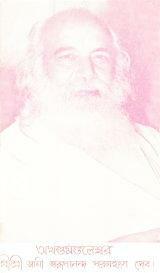 Once out of jail, the sect members say, Das returned to Calcutta, and to Gurudham, seeking the forgiveness of Mamoni. In December last year, he showed up in Tripura, where Mamoni had gone to buy property for the institution. Their meeting was brief, after which Das left. This March, Das called Mamoni and said he wanted to meet her. Mamoni reluctantly agreed and on Poila Baisakh, he turned up. Two days later, Mamoni was dead. “It was Mamoni’s excessive kindness that led to this tragedy,” Kar said. Amid rumours about the motive for the murder of Samhita Devi — Mamoni to her followers — the ruling faction of Akhanda Mandali alleged on Friday that a section of the sect had conspired to kill the head of the institution. “Mamoni stood against the anti-organisational activities of a group of people and she paid the price with her life,” said Supriyo Kar, the joint secretary of the religious body’s West Bengal chapter. Speaking for the executive committee, the highest decision-making body of the 93-year-old organisation set up by Swami Swarupananda Paramhansa Deva (Babamoni), Kar held four monks responsible for the murder of Mamoni. “Asim Brahmachari of Calcutta, Jugal Brahmachari of Bangladesh, Hareram Debnath of Tripura and Amalendu Sarkar of Siliguri hatched a plot to kill Mamoni and used Kalipada Das for the purpose,” said Kar. Das entered Gurudham on Wednesday evening and killed Mamoni and her aide, Dulu Dutta, besides attacking Ananda Kamal Brahmachari, who is recuperating in a nursing home. The four accused could not be reached for comment. The executive committee refused to provide any evidence to buttress the conspiracy theory. Heated exchanges among devotees revealed the cracks within the organisation. On Friday, the Gurudham compound witnessed fisticuffs after some devotees said Kalipada was made a scapegoat. Police had to intervene as supporters of the ruling faction pounced on a group of devotees, who wanted to know why Kalipada was not handed over to the police but beaten to death. “It is clear that Kalipada came with the motive to kill, but what prompted him is still not clear to us. We have heard the allegations and are looking into them,” said Jawed Shamim, the deputy commissioner of police (detective department). Sleuths went to the Kankurgachhi compound and spoke to Tapan Brahmachari, who has been appointed head of the institution, for over an hour. Outside, the devotees queued up to pay tribute to Mamoni and talked about the changes in their lives brought about by their association with the Mandali. Kar confirmed that Mamoni had moved court last year alleging that Hareram, the head of the Tripura unit, was defrauding devotees. She had planned to visit Bangladesh to look into the day-to-day running of the sect’s units in Chandpur and Rahimpur. “Jugal, in charge of the Bangladesh operations, had transferred the organisation’s property in his name and Mamoni was very upset,” said Kar. According to him, people like Jugal and Hareram, keen to become spiritual heads, had ganged up against Mamoni and used Kalipada to remove her from their path. “Kalipada was more interested in controlling the assets through a berth in the executive committee. Mamoni did not support him and he wanted to take revenge,” explained a devotee. Learning that Kalipada had spent some time in Jammu, Uttaranchal, Himachal Pradesh and Uttar Pradesh, the police have sought information on the former monk, who was thrown out of the Mandali eight years ago. Kolkata, April 16 (IANS) In a shocking incident, two nuns were killed late Wednesday when an unidentified man attacked them with swords at their mission here, police said. The incident took place at Gurudham, a popular mission in eastern Kolkata, and the attacker also died of injuries. “At around 9.30 p.m., a man tried to force his way into the mission with a sword. On being refused entry, he attacked the nuns and monks. The head of the mission Sangeeta Devi and another nun named Dulu Datta were killed. The attacker also died. A monk named Anandakamal Brahmachari has been admitted to hospital in a critical condition,” Kolkata Police Deputy Commissioner (Detective Department) Jawed Shamim told IANS. AGARTALA/KOLKATA: Police in three states may probe the murders in Kolkata of a prominent Hindu priestess and her associate, allegedly by an expelled devotee. “The police from West Bengal, Tripura and Assam may jointly probe the murders of Sangeeta Devi and Dulu Datta in Kolkata on Wednesday night,” a senior police official said in Agartala yesterday. According to sources, Kalipada Das, the alleged attacker, who later died of injuries, hailed from Silchar in Assam. Devi, popularly know as ‘Mamoni’ was a priestess at Gurudham, a popular mission in eastern Kolkata. “Das might have been used by dissidents who have been challenging the authority of Sangeeta Devi,” said Dhirendra Roy, a follower of the priestess. “A case was pending at a court in Agartala since last year following the dispute over right to give initiation to the disciples,” said Roy. There are also disputes over the ownership of assets of temple branches in Agartala, Silchar, Siliguri, Bihar and Bangladesh besides the main temple at Kakurgachi in Kolkata, he added. The Kolkata police detective department suspects the killings were pre-planned. Police forces from three states may probe the murders in Kolkata of a prominent Hindu priestess and one of her associates, allegedly by an expelled devotee, the police have said. 'The police from three eastern Indian states - West Bengal, Tripura and Assam - may jointly probe the murders of Sanghita Devi and her associate Dulu Datta in Kolkata Wednesday night,' a senior police official said in Agartala said Thursday. Sangeeta Devi, popularly know as 'Mamoni' was a priestess at Gurudham, a popular mission in eastern Kolkata. 'Das might have been used by dissidents who have been challenging the authority of Sangeeta Devi,' said Dhirendra Roy, a follower of Sangeeta Devi. 'A case was pending at a court in Agartala since last year following the dispute over right to give initiation to the disciples,' said Roy. There are also disputes over the ownership of assets of temple branches in Agartala, Silchar, Siliguri, Bihar and Bangladesh besides main temple at Kakurgachi in Kolkata, he added. 'Attacker Kalipada Das was driven out of Gurudham for his aggressiveness by the mission head, Sanghita Devi, one and a half years ago. After that he went to a mission in Uttaranchal. Since Monday, he again started frequenting the mission,' Deputy Commissioner (Detective Department) Jawed Shamim told IANS. 'We are still not sure about the motive behind the murder. The bodies of the nuns have been returned to the mission after post-mortem. No details about the family background of Das have been found so far,' Shamim said. KOLKATA, April 18: A power tussle among the senior monks of Swarupananda Gurudham Mutt might have led to the murder of its chief and one of her associates on Wednesday night, a section of devotees said today. They alleged, the double murder was masterminded by four senior monks including one who is a resident of Rahimpur in Bangladesh where Gurudham has an office. The other three reside in Howrah, Agartala and Siliguri. “The four had challenged Samhita Debi aka Mamoni when she raised questions about their authority to include devotees into their fold. A case is running in a court in Agartala in this regard. They had planned to kill Mamoni to grab power of the mutt. They used Kalipada Das to execute the plan,” alleged Mr Supriya Kar, a member of the Paschimbanga Sammilita Akhanda Sangathan, an organisation of devotees. “A devotee from Agartala, Ms Jhulan Mojumdar told me over phone today that Kalipada had been inquiring about Mamoni's visit to Agartala and her security,” said Mr Kar. Another devotee alleged a man rang up the Gurudham a fortnight ago and asked to speak to Mamoni. When his request was turned down, he had threatened to kill Mamoni. He, however, remained silent when asked why they didn't lodge a complaint with police. “A devotee who is an advocate of Alipore court had prepared a draft furnishing details about the threat call, but it had not been submitted to police,” he said. Meanwhile, police have decided to conduct forensic tests on the blood-stained knife, a sword and a hammer which were seized from the room where the murders took place. In order to unearth the mystery behind the killings detectives are trying to find out answers to some questions that cropped up during the investigation. A detective department officer said, they do not know yet where Das had gone after leaving the mutt on Poila Boisakh and whom he met after that. Also the sleuths are trying to find out what exactly had happened in the mutt on Poila Boisakh. Officers suspect that Das had quarrelled with other monks before leaving the mutt. KOLKATA, April 17: Samhita Debi aka Mamoni had 18 stab wounds, while her close associate Dulu Dutta had seven. After 24 hours had passed since Mamoni (photograph right), head of Akhanda Sangathan's Paramhansa Sarupananda Gurudham Mutt, was stabbed to death by a devotee of the same mutt, police were yet to find out the motive behind the murder. Police said they are considering all possible angles. They are yet to ascertain whether it was because of psychological disorder that Kalipada Das took the extreme step, or whether Das was influenced by a third party, or indeed whether personal rivalry had anything to do with the heinous crime. Police were told that Kalipada had spent time in jail on the charge of murder in Jammu. But, police are yet to confirm the veracity of this claim. They said they will confirm this from Jammu police. Police said prima facie that 18 stab wounds were found on the body of Mamoni. Dulu Dutta had seven stab wounds, while Ananda Kamal has one abdominal stab wound and other multiple injuries, which police are yet to confirm. Kalipada had no bodily injuries, but had injuries in the head. Kalipada's case is a suspected homicide, police said. But they also did not rule out the possibility of the injuries to Kalipada being caused in self-defence by those he attacked. Police recovered three weapons ~ a blunt sword, a 6-inch blood-stained blade, and a hammer. The sword was not used, police assumed, but it was bent. Both the hammer and the blade were used during yesterday’s crimes. Police suspect that Kalipada hid the sword and the knife in his saffron robe. Police will investigate a claim made by mutt authorities that Kalipada was undergoing psychiatric treatment. Poila Baisakh was the last day Kalipada visited the Kankurgachi mutt before returning there yesterday. Hundreds of devotees of sanyasin Mamoni gathered today at Gurudham Mutt since early this morning, after hearing about her murder. Samhita Debi aka Mamoni was stabbed to death allegedly by Kalipada around 7.45 p.m. yesterday. Mutt authorities today declared that Tapan Brahmachari aka Bappa Maharaj aka Dadamoni had been chosen by Mamoni to succeed her as the head of Akhand Sangathan, which runs Gurudham Mutt in Kankurgachi. In January this year, Kalipada allegedly organised a festival in Hedua under the banner of the Paramhansa Sarupananda Gurudham Mutt, which was attended by Kalipada's disciples. This function reportedly created a controversy between members of the ashram and Kalipada. Mamoni's mother and father, Urmila Banerjee and Hrishikesh Banerjee, belonged to a well-to-do family from Kolkata. KOLKATA, April 17: He caused a commotion in peaceful Kankurgachi last night when he stormed into Gurudham Mutt and stabbed to death the head of the ashram, Samhita Debi aka Mamoni (66) and her close associate, Dulu Dutta (50). Ashram authorities said Kalipada Das, the accused, who was allegedly lynched by ashram devotees after committing the crime around 7.30 p.m. yesterday, was a regular visitor to the ashram, and wanted to earn a position of repute at Gurudham. They also said that he had been jailed in Jammu as a murder accused for three years. Mutt authorities alleged Kalipada was mentally unstable, and was under the psychiatric care of a renowned city doctor. They did not rule out the possibility that Kalipada might have murdered Mamoni because he wanted to take her place in the mutt. Members of the mutt said that in spite of the fact that Kalipada was of unstable and irresponsible character, Mamoni did not stop him from entering the mutt. “One would think that such a person should be barred from entering a mutt. It was only because of Mamoni that we allowed him to enter,” said Mr Supriyo Kar, joint secretary of the ashram. The mutt boasts of thousands of devotees from all over the country, including big names like Mr Priya Ranjan Das Munshi, Union I&B minister, Mr Kiranmoy Nanda, state fisheries department minister, Mr Ganesh Ghosh, former CPI-M MP and former IG Headquarters Mr Jogesh Chandra Chatterjee. Talking to the Press after the body of Mamoni was brought to the ashram from the hospital this afternoon, Mr Supriyo Kar said Kalipada Das became a devotee of the ashram about 15 years back, when the ashram was headed by Babamoni Swami, the predecessor of Mamoni. “Kalipada wanted to don saffron clothes worn by a sanyasi. But according to ashram rules, only one person in the ashram is allowed to don such robes ~ Mamoni and Babamoni before her. So, he left for Jammu about seven years back, and there became a devotee of another mutt there,” Mr Kar said. He added that about four years back, Kalipada returned to the mutt and begged Mamoni to take him back into Gurudham. "He also confessed to her that he had spent three years in jail, as an accused in a murder that took place in the Jammu mutt,” Mr Kar alleged. In spite of his “criminal record”, Mr Kar said Mamoni decided to forgive Kalipada and allowed him to return to the fold of the ashram. “However, Kalipada did not stop behaving irresponsibly. He returned to the Jammu mutt after a few months, and would regularly call up and ask to speak with Mamoni. As she was a very busy person, with 25 lakh devotees all over the country vying for her attention, she did not take his calls,” Mr Kar said. About three months back, Kalipada came back to the mutt, and Mamoni asked him to take care of the scores of stray dogs that Mamoni used to tend to, according to Mr Kar. Mutt authorities said they had no clue as to why Kalipada had murdered Mamoni. “He even came to meet Mamoni on 14 April, Poila Baisakh. he paid his respects to her, and we couldn't even imagined that he would commit such a heinous act just two days later,” Mr Kar said. KOLKATA, April 16: Sangeeta Roy, the sanyasini who used to head the Sarupanandaji ashram, and her assistant Dullu Dutta were stabbed to death by a devotee at Gurudham at CIT Road in Kankurgachi this evening. Kalipada Das, a middle-aged man who was also a devotee of the ashram, came to attend the Poila Baisakh programme organised by the ashram authorities on Monday. Devotees were attending a prayer service in the evening when the accused went to the third floor, committed the crime and then killed himself. KOLKATA, April 16: Sangeeta Roy, the sanyasini who used to head the Sarupanandaji ashram and her assistant Dullu Dutta were stabbed to death by a devotee at Gurudham, ashram at CIT Road in Kankurgachi this evening. Kalipada Das, a middle-aged man who was also a devotee of the ashram, came to attend the new year programme organised by the ashram authority on Monday. The accused, who was described as eccentric by the locals, noticed the other devotees’ engagement in upasana in the evening and went to the third floor of the ashram building. Kalipada, armed with a sharp knife found Sangeeta Roy, her assistant and Mr Ananda Pramod Brahmachari, a sanyasi of the ashram, in a room and stabbed them. The accused stabbed himself after killing the victims. The devotees hurried to the third floor after hearing the victims' screams and found the three bodies lying on the floor. The head sanyasini and her assistant Dullu Dutta were declared dead when they were taken to the Apollo Gleneagles Hospital by their devotees and Mr Ananda Pramod Brahmachari was taken to a nursing home, where he was admitted in a very serious condition. The accused died at the spot. Mrs Minati Chowdhury, an ashram devotee said their guruma, Sangeeta Roy had gained fame by serving the people and had set up three ashrams at different parts of the country, which made the other gurubhai jealous. She suspects her murder was planned. Mr Partha Sarathi Ghosh, DC, ESD said "We hurried to the site after getting the information from a devotee present at the ashram and found three bodies lying on the floor among which Sangeeta Roy and Dullu Dutta were declared death when they were taken to the hospital and Mr Ananda Pramod Brahmachari was admitted in a nearby nursing home in a serious condition." He further said the accused was also a devotee of the ashram but the details of Kalipada is yet to be known and the motive behind the murder needs to be investigated. KOLKATA: A day after the triple murder at a city math, mystery shrouds the background of Kalipada Das, the attacker who was lynched. Kalipada stabbed Sanhita Devi (Mamoni), the head of Guru Dham, and disciple Dulu Devi to death on Wednesday evening. Ananda, the third person who was attacked, is fighting for life at a clinic. Kalipada's head was smashed with a hammer, but police are not sure by whom. Math officials claimed he was hurt while scuffling with Ananda, but cops feel more people may have been involved. Regular visitors to the math on CIT Road said Kalipada was close to higher-ups in the order and had easy access to the upper floors of the six-storey building - something which ordinary disciples didn't. Police are now probing how close he was to Mamoni, who was adopted by the sect's founder Swarupananda Maharaj, and then anointed his successor. Head of the Akhandamandali, Mamoni was known as mahasanyasini to her disciples. Thousands turned up at the math to pay their last respects to her on Thursday. Kalipada's links with the math go back around three decades. 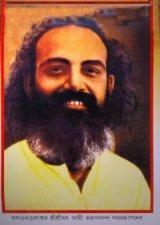 Math officials admit he had taken diksha from Swarupananda Maharaj, who died on April 21, 1984. "Till six years ago, he could be seen at the math regularly. He hardly spoke to visitors. Then, he suddenly disappeared," said Sudam Joy, a devotee. Math officials claim Kalipada had turned mentally unstable and Mamoni had arranged for his treatment. Some disciples said the short-tempered man had earlier killed a monk in Uttaranchal or Jammu and Kashmir and was behind bars for three years. Kalipada suddenly reappeared eight months ago. "Mamoni was informed that a monk had come from Jammu & Kashmir. This monk turned out to be Kalipada," said Supriyo Kar, a former IAS officer and now joint secretary of the math's West Bengal Akhandamandal. Six months ago, Kalipada returned to the ashram for a while before disappearing again. Those who asked about him were told he had been sent to other branches of the math. He returned again in early April. Then, last Saturday, there was a tiff between him and Mamoni. She was giving diksha when Kalipada walked up to her and said something. "This angered her so much that she left immediately. Soon, orders were issued to not allow him in," said a devotee. The same evening, devotees saw Kalipada abusing Mamoni outside the math's boundary wall. He left after some people objected. Yet, when Kalipada returned to the math on Monday - Poila Boisakh - Mamoni granted him an audience. A prayer meeting was being held on the ground floor when Kalipada entered the math on Wednesday evening. He climbed the stairs, the knife hidden under his saffron robes. He was also carrying a sword. Both of these were found later. People in the first-floor office - including Ananda - saw him, but didn't stop him. Dulu was on the second floor but didn't see him. Mamoni was in her room on the third floor. "She was alone when he attacked her. Hearing her screams, Dulu rushed upstairs and was stabbed. Ananda also ran up and he, too, was attacked. There was a scuffle in which Kalipada probably sustained head injuries and died," math officials claimed. Police, however, suspect there were people in Mamoni's room. "On seeing Kalipada, she asked why he had been allowed in. Kalipada probably attacked her after this. There were 18 wounds on her body, which shows how vengeful he was," said a senior police officer. Then who killed Kalipada? His body was found in the corridor outside Mamoni's room. Those attending the prayer on the ground floor were mostly women. "The murder suggests he was attacked by more than one person. Hammers were used to smash his head," a senior officer said. KOLKATA: The triple murder at Kankurgachi's Guru Dham on Wednesday night remains shrouded in mystery. Nothing much is known about Kalipada Das, the monk who killed head of the order Sanhita Devi or Mamoni and her companion Dulu Dutta and injured Ananda Ray. Kalipada himself was killed, his head smashed by a hammer, but police are not sure by whom. The police also feel that more than one person was involved in killing Kalipada. According to regular visitors to the math, Kalipada had direct access to Sanhita Devi, who was stabbed as many as 18 times. The police are also probing if power struggle and property dispute are behind the killings. The math owns properties running into a few hundred crores. KOLKATA: The power tussle building up in the religious order of Akhanda Mandal since the death of its founder Swami Swarupananda might have led to the killings at Guru Dham. The admission came on Friday from none other than math spokesperson Supriya Kar, joint secretary of the Paschimbanga Akhanda Mandal. Disciples, who flocked to Guru Dham to pay tribute to their beloved Mamoni, endorsed the view. "Some power-hungry people are trying to grab the Akhanda Mandal’s assets in India and Bangladesh. This might have provoked Kalipada to commit the murder. Kalipada was only a part of the grand design," said Kar. Math head Mamoni perhaps had an inkling of that when she visited the Tripura ashram in December 2007. Kalipada had even followed her to Tripura. The feud, according to disciple Tripti Mukherjee, began after some seniors in the order felt let down when Swarupananda appointed Mamoni as his successor and the sole diksha guru. The right to give diksha is the source of power in a religious order because the monk who attains this stage is the supreme trustee of the assets. But Sanhita Devi was not the only person whom Swarupananda had groomed. Another name was doing the rounds in the ashram compound. 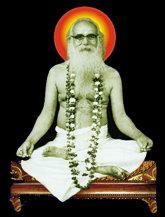 That was of Sadhana who, according to disciples, was also very close to Swarupananda. Mamoni got the right to give diksha and wear the saffron robe, said Chhaya Banerjee. Soon after Mamoni took over, the disgruntled among the religious order, namely Jugal Brahmachari, who looks after the Akshay Ashram at Rahimpur in Bangladesh, Hare Ram Debnath, who is in charge of the Agartala ashram, Amalendu Sarkar of Siliguri and Asim Brahmachari of Kolaghat defied the Guru Dham at Kankurgachi and became self-proclaimed gurus. Even the donations they got from the disciples did not reach Guru Dham, the headquarters of the order. Asim Brahmachari of Kolaghat produced another film, projecting himself as the sole disciple of Swarupananda. Disturbed by such incidents, Mamoni decided to visit the Ayachak ashram in Bangladesh. But Brahmachari did not let this happen. Instead, he established himself as the key man in Bangladesh and floated his name in the corridors of power. He also donated Rs 2 lakh to Dhaka University in 2003 as part of his goodwill mission. "Taking the cue, Hare Ram Debnath of Tripura started giving diksha to disciples. When the executive committee running the order objected to such individual move, Debnath moved court challenging Mamoni’s sole propriety over diksha. The matter is pending in court. Amalendu Sarkar and Asim Brahmachari also took the same route," the math spokesperson said. Kalipada, however, was a different sort. He was not an organiser and had a very small following. But he had been with Swarupananda for years and considered himself spiritually more sound than the rest. That explains why this erratic ashramite used to wear saffron when none in the order, except Mamoni, was allowed to don the saffron robe. Even though Sanhita Devi had sensed a threat to her life, she could not despise Kalipada, who had free access to the third floor where she stayed. Mamoni even sent Kalipada to a psychiatrist, Susanta Hazra, who has been associated with the math for long. "I spoke to him for 45 minutes. He did not cooperate with me. I found him arrogant and a person who rated himself as superior to others. Such persons usually become pawn to murder machinations," the doctor said. That explains why the executive committee has refused to cremate Kalipada. Police, however, are yet to hold Kalipada responsible for the murders. Instead, they have initiated a case registering three murders without pinpointing the killer. They have sent his photographs to Jammu and Kashmir, Uttar Pradesh, Himachal Pradesh and Uttaranchal to get more feedback from people who might have known him. Dr Krishna Bandhu Goswami of Omkardham, Kutubpur, Maldah, West Bengal left this mortal body for the heavenly adobe in the lap of spirit on 7th January 2008 at 12.30 am . 13.11.07 to 17.11.07 - Nutonnagar, Bishalgarh, Udaipur, Dharmanagar in Agartala. 20.11.07 - 22.11.07 - Various programme at Halaikandi, Ganganagar, Kachudaram etc. A holy gathering of Bharat & Bangladesh (Bharat-Bangladesh Akhanda Sanmelan) is going to be held on 25th & 26th of this month at Agartala, Tripura, where it is primarily presided over by Dr.Jugal brhmachari (Principal, Bangladesh Ayachak Ashram), Sri Amalendu Sarkar (Editor-Akahnada Jagarani) etc. Basic discussion would be re-juvenation of Babamoni's dream.i.e. The Multiversity , Akhanda Sangathan in addition to this the programme is ornamented by the most unique "Charitra Gathan Sabha". We all the akhandas over the world wish a grand success of the sanmelan. Thoughts are impediments to seeing your own face. Don't give rise to any thought, and discover who you are. 4. When you say 'I love you', mean it. 5. When you say 'I'm sorry', look the person in the eye. 6. Remember that great love and great achievements involve great risk. 8. Never laugh at anyones dreams. 10. In disagreements fight fairly, no name calling. 14. If you make a lot of money, put it to use helping others whilst you are living. That is wealth's greatest satisfaction. 15. Remember that not getting what you want is sometimes a stroke of luck. 16. Say 'bless you ' when you hear someone sneeze. 18. Remember the three R's: Respect for self; Respect for others; Responsibilities for all your actions. 20. When you realise you've made a mistake take immediate steps to correct it. 22. Learn the rules then break some. 27. Live a good honourable life. The when you get older and think back, you'll get to enjoy it a second time. 32. Share your knowledge, it's a way to achieve immortality. 37. Once a year, go someplace you've never been before. Today, Babamani's followers 103 visitors (137 hits) on this page!